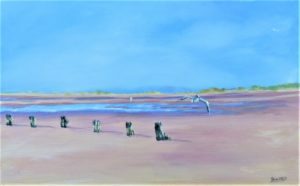 On the weekend after Easter I am staging a 3 day exhibition of my landscape paintings featuring the coast and countryside of Norfolk stretching from King’s Lynn to Cromer. 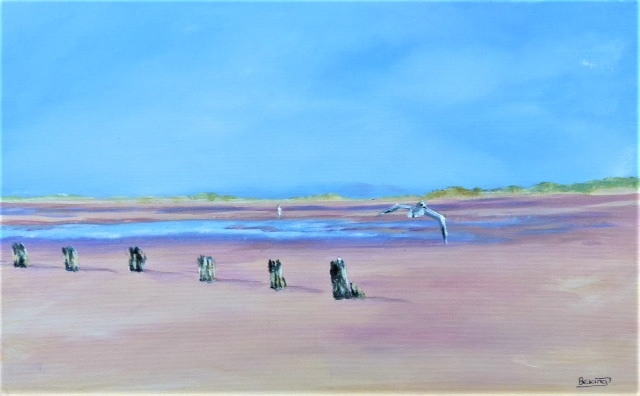 Beach scenes at Hunstanton and Holme, the creeks and harbours of Thornham and Brancaster Staithe will sit beside large open skies over Burnham Deepdale and resplendent sunsets tinting roads and salt marshes with pink, peach and purple hues. The undulating countryside with its tree lined lanes, rich and colourful fields and far reaching views will complete the picture of this glorious county. Paintings of our landscape through spring to winter, from dusk to dawn, in watercolour, oil and acrylic will be on display. Come, see and enjoy and maybe take away your very own piece of Norfolk to enjoy all year round! This entry was posted in Exhibitions on April 1, 2019 by Esther Boehm.